Fuel Your Gaming With Rip It Energy Fuel | Nerd Much? This is a sponsored post written by me on behalf of Rip It Energy Fuel. All opinions are 100% mine. Nothing is worse than having to work all day, especially when it’s Tuesday and that one game you’ve been waiting for finally releases. But by the time you’ve gone to work, worked all day, and arrived back home, chances are you’re too exhausted to even think about actually playing it. Luckily, Rip It Energy Fuel is here to fuel your late night gaming sessions so that you can get that much needed boost to allow you to pick up that controller. Rip It Energy Fuel is an American-made energy drink that’s best known for its lower price in comparison to the leading energy drinks on the market, as it’s just 99 cents for each 16 ounce can. But aside from just saving you money, it also has better tasting flavors than its competitors. 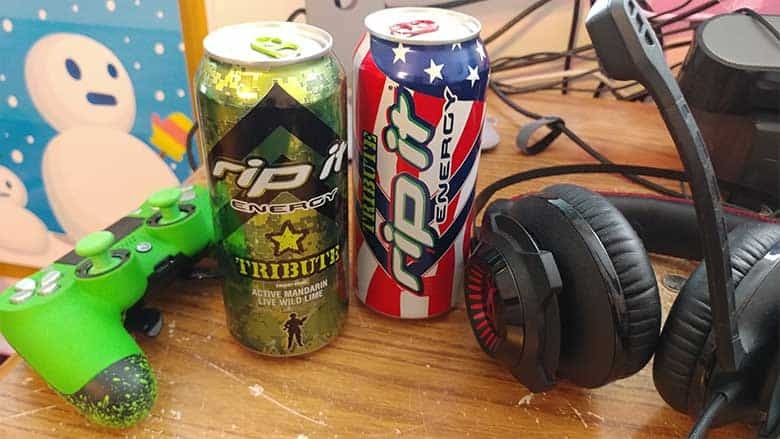 For example, the Tribute Cherry Lime flavor tastes like an explosion of cherries in your mouth followed by a lime high-five to your tongue, and it’s one of the best-tasting energy drinks we’ve tried. There’s also the Tribute Wild Lime and Active Mandarin that drops the cherry notes for an equally delicious lime-forward flavor. Neither are too sweet nor too bubbly, which is why we’ve taken such a liking to them. There are also 12 other regular flavors and six sugar-free flavors available, including Atomic Pom, Citrus X, Lemon’r and more — all of which you can order online via the official Rip It online shop. 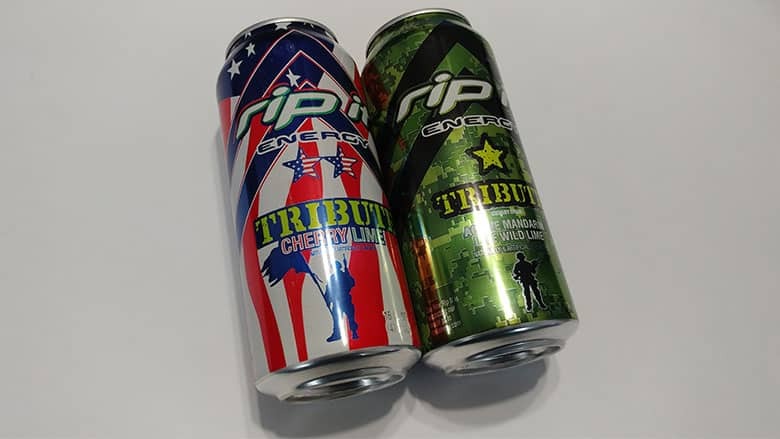 It’s also worth mentioning that Rip It has been supporting the military since 2004, and Rip It Energy Fuel is incredibly popular among deployed soldiers for its ability to keep them alert. No, you don’t have to be military personnel or a gym rat to enjoy the effects, and if you’re like us, you’ll use Rip It Energy Fuel to power-up your next late night gaming session for the alertness boost it provides. We highly recommend making the switch, and if you can’t find any at your favorite convenience store, you should request that they start carrying it. If you’re looking to make the switch to Rip It Energy Fuel from your other energy drink, you can follow Rip It on Twitter and comment to get a free shipping code. You can also follow Rip It on Instagram and comment to get a free shipping code. Use promo code ENERGY30 to Buy One Get One Free, 16oz Cases, PLUS Free Shipping. Valid on 1 order applicable on 1 case, 1-time use, 1 per customer. Expiration date June 1, 2018.